Affirmative Action. It's just one of those phrases that causes people to instantly go nuts and start clubbing each other for no reason. In the job market context, affirmative action doesn't seem to produce as much vitriol as it used to, but in the educational context it's still as controversial as ever as evidenced by recent Supreme Court cases (Grutter v. Bollinger (2003), Gratz v. Bollinger (2003)) and state-wide ballot initiatives led by Ward Connerly and the like. And if you think affirmative action is controversial in the educational context, then it is controversy x10 in the law school context, where professors like Richard Sander have dedicated entire 100+ page law review articles in strong opposition to the notion of affirmative action in legal education. And with Education Reform taking center stage before the November elections, it's only a matter of time before somebody asks: "So since you Democrats are all about reforming our education system and all...can we finally get rid of affirmative action?" In far too many ways American Negroes have been another nation: deprived of freedom, crippled by hatred, the doors of opportunity closed to hope...But freedom is not enough. You do not wipe away the scars of centuries by saying: Now you are free to go where you want, and do as you desire, and choose the leaders you please. You do not take a person who, for years, has been hobbled by chains and liberate him, bring him up to the starting line of a race and then say, 'you are free to compete with all the others,' and still justly believe that you have been completely fair. In other words, affirmative action got its start in America because the American government realized in the 1960's that even though slavery had been outlawed for 100 years at that point, our job market, schools and other social opportunities had stubbornly maintained the status quo similar to that of the 1860's which heavily favored the white male majority to the exclusion of everybody else. Most people in 2010, (be they white, black, latino, asian, etc.) would agree that that's not fair. Where it gets tricky is that some of those same people who disagree with the white male power structure also argue that affirmative action itself is unfair because, according to them, it heavily favors minorities to the exclusion of whites (ie. so-called "reverse discrimination"). So the question then becomes, are we at a place in 2010 where empoyees and students are advancing at the same pace regardless of their race? One argument that has been gaining a lot of traction recently against the need for affirmative action is President Obama himself. Many opponents feel that Obama's rise to the Presidency signifies the end of any need for affirmative action in the job market or in schools. Affirmative action supporters feel such arguments miss the larger picture of where minority communities are as a whole. Either way you look at it, this is a divisive issue that has the potential to derail the Education Reform debate as we approach the November elections. Will the Right try to use Affirmative Action as a wedge issue if the Dems campaign on Education Reform this November? Is there still a need for Affirmative Action in the work place in 2010? 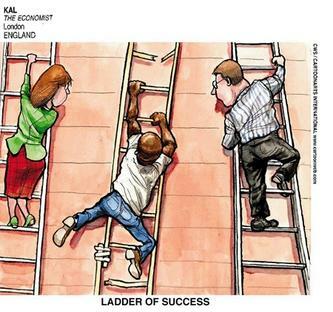 Is there still a need for Affirmative Action in our schools in 2010?